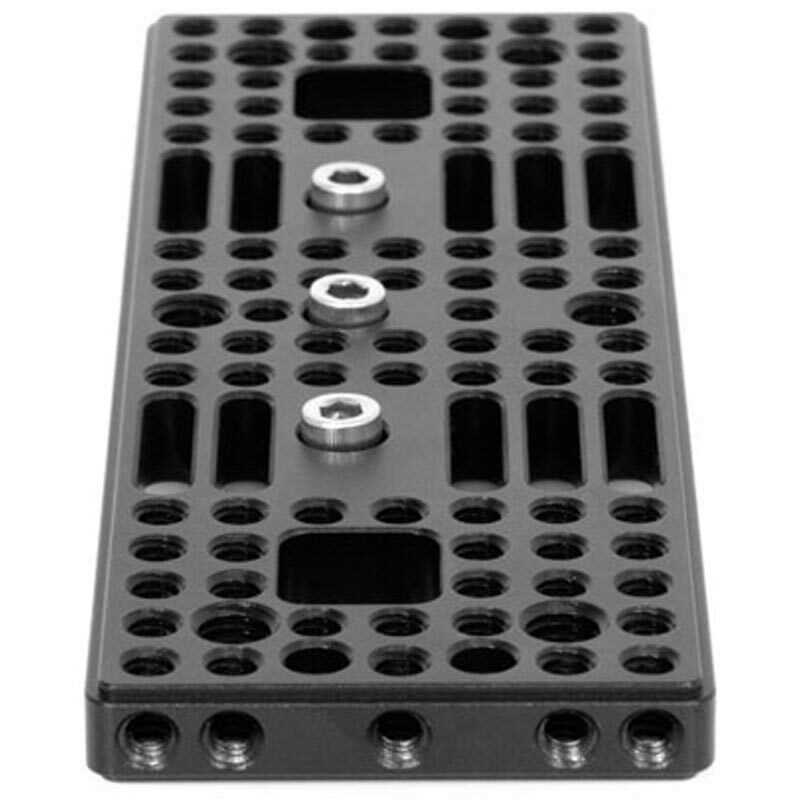 Top plate for Blackmagic Design Cinema Camera (BMC) with 1/4-20 holes in standard spacing (9mm center to center). 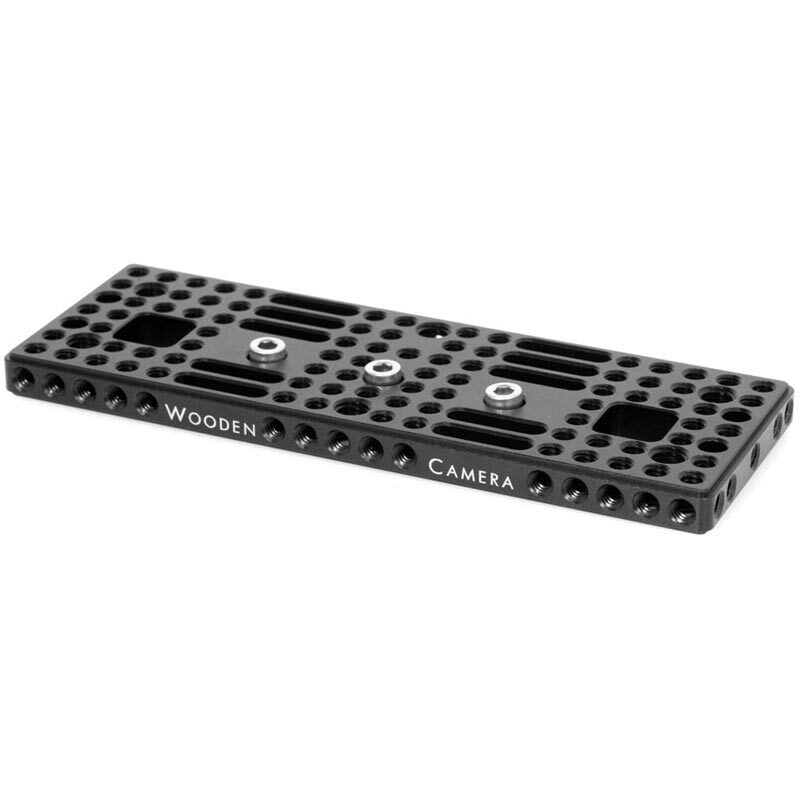 Attaches securely to three points on camera top. Slots open for neckstrap connection. 1/4-20 accessory tabs on all edges for attaching Cage NATO Arm, Cage Rod Clamp (15mm), Cage Rod Clamp (19mm), and more.